Nanni/Iskra inline Water cooled Alternator/Regualtor 250AH 2011- regulator new 2014. Spinlock Throttle 1 60L PE Day Tank 1 120L PE Main Tanks. Carbon and Kevlar honeycomb core deck and internal structure. Carbon and Nomex honeycomb/Corecell foam hull. Canting carbon keel and bulb. Great American IV, Ex Mirabaud, Temenos. 2006 Owen Clarke Design. Southern Ocean NZ Build Gurit Engineering. Spare Daggerboard onboard HWMPE rotating bearings. Stainless Steel Hydraulic Rams - Serviced 2016. 10 tanks, 2 scoops with fill and drain system, Valterra valves operated by remote line control system. Cradle with High and Low position (in Gosport UK) Will dismantle to fit in 20ft Container, 20ft Workshop Container (in Port La Foret) Workbench, lights, shelving, vice, bench grinder, boat spares, dehumidifer. An IMOCA 60 designed by Owen Clarke in 2006 for the very experienced Dominique Wavre. Built by Southern Ocean Marine in NZ, she has competed in three Vendee Globes and two Barcelona World Races, plus numerous Trans Atlantics. Most recently competing in the 2016 Vendee Globe under US skipper Rich Wilson, she was completely rewired in 2014/15 which included the fitting of Genasun Lithium Batteries and full B&G 5000. With reliability and sustainability in mind, she is also fitted with Watt and Sea Hydrogens, a wind turbine and solar panels meaning that in the last Vendee Globe, very little fuel was consumed. A refit in 2011 featured the addition of a beautiful 2 spreader mast from Southern Spars and EC6 Carbon rigging. These together with the Carbon keel from 2008 create a relatively light package for her age. The boat is very well supplied with spare parts as reliability was key for the 2016 race, which she completed with very few technical issues and underwent an NDT inspection in 2017, following the race. She would make an excellent boat for a newcomer to the IMOCA class, sponsored or private and there is wealth of information and support available to help make it happen. 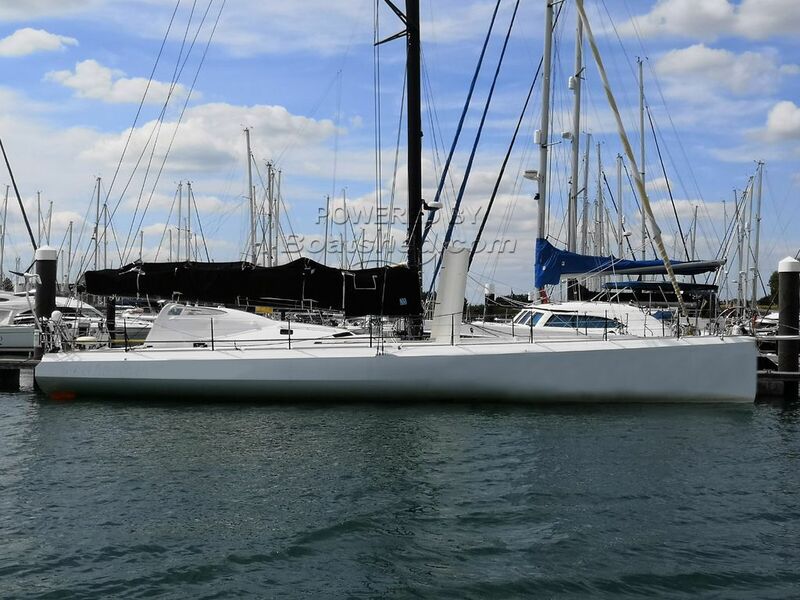 This IMOCA 60 has been personally photographed and viewed by Boatshed Representatives of Boatshed Performance. Click here for contact details.